It’s easy for those of us who don’t play video games to look at the medium and see nothing more than d guns, violence, soldiers, killcounts, and candy-swaps. However, like any other creative medium, that description only scratches the surface of what video games have to offer. Join me as I share my experiences with video games, from the happy memories to the life lessons. If you don’t play games often, I hope this series convinces you to give it a try. And if you do play regularly, I hope you join in the conversation. After all, only by working as a team can you collect enough experience points and level up. If you follow my blog, you’re going to find out that I am a big, big fan of Sonic the Hedgehog. My first video game console was a Sega Genesis, and it came with two Sonic games. In addition to playing the games obsessively (and collecting them all), I watched the TV shows, researched the series on the internet, read books, and so on. Something about Sonic himself, whether it was the games themselves, his personality, or his 90s attitude just drew me in. Miles “Tails” Prower. Sonic’s best buddy. For those that don’t know, Miles “Tails” Prower (whose name is a play on the term Miles Per Hour), first appeared in Sonic the Hedgehog 2 for the Sega Genesis, released in 1992. In that game, you’d play as Sonic with Tails right on his heels. However, with a little digging into the options menu, you could play as Tails himself, with no Sonic in sight. Since then, Tails has made some kind of appearance in just about every Sonic game released. As for who Tails is, he’s a child. 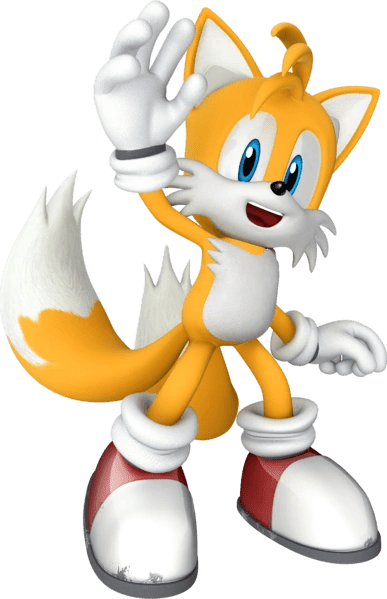 While his age varies anywhere from four to eight to early teens, Tails is always portrayed as younger, less experienced, and less confident than Sonic. While not usually needing to be rescued, it’s clear that Sonic tries to keep Tails out of danger, almost like a big brother. Despite this, Tails has a few advantages over the blue heghehog. Most obviously (at least when you play the games) is the ability to fly. Spinning his twin tails behind him like a propellor, the fox is able to break every law of physics and soar through the sky. Not only that, but Tails has been gifted with a brilliant mechanical mind. He maintains Sonic’s airplane, and more recently, makes gadgets to help Sonic in his quests. I’ve always felt more drawn to Tails than Sonic. However, only recently have I started to delve into where that appeal comes from. For example, Tails shares the distinction of being the “Smart One” in the Sonic Universe, which, as I discussed in my previous post, is a distinction I also share. However, I think there is more to Tails’s appeal than just that one common trait. To Tails, Sonic is a hero. Tails looks up to and idolizes Sonic, hoping to one day be just like him. Tails wants to do great things like his hero, but he’s still young and not able to do them yet. But, he knows that if he tries hard enough, one day he’ll get the chance to be the hero longs to be. But, like I said above, Tails isn’t a simple plot point for Sonic to save. Tails makes himself useful, putting his special gifts to good work. Sonic can’t fix a plane, but Tails can. Sonic can’t design a robot to fight Dr. Eggman, but Tails can. And so on. Tails works hard to be an asset to Sonic, and often it’s through Tails’s actions, just as much as Sonic’s, that the world is saved. With that said, Tails is also living a dream that I think many of us would love the to do. See, Tails actually knows his hero personally. They’re best friends. Anyone who has ever dreamed of being the Doctor’s companion as he blasts off among the stars knows this feeling. Tails gets to do that. When I was young, I used to insert myself into stories such as these as the main character’s best friend, which should you give an idea of my early fanfiction. I’m not the only one to do this, am I? I don’t want to necessarily be Spider-Man or Batman. I want to be my own hero, standing tall with the others. We are all the heroes of our own stories, after all. I think Tails embodies those ideas. He wants to be like Sonic, but he doesn’t want to be Sonic. Tails has different skills than Sonic after all, and when Tails becomes the hero, he wants to do it in his own way. He can’t run as fast as Sonic, but he can fly after all. Tails wants to be his own hero, just like we all do. 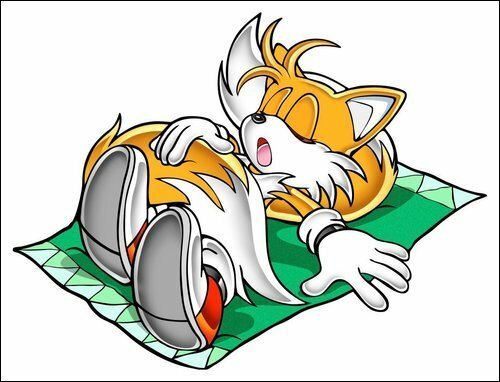 With each new video game, the portrayal of Tails changes slightly, but these core facets of his personality remain. With a new TV show coming up, it looks like Tails may change slightly, but he will still be there to help whenever Sonic needs him. One day he’ll be the hero. But for now, he’s going to help his hero in any way that he can. Images of Tails are copyrights of Sega. All images link to the source. Captions are my own. 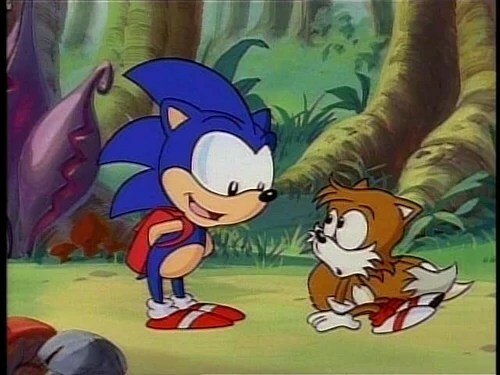 Images courtesy of The Sonic Wiki, Sonic SatAM Wiki, and Fanpop.com.